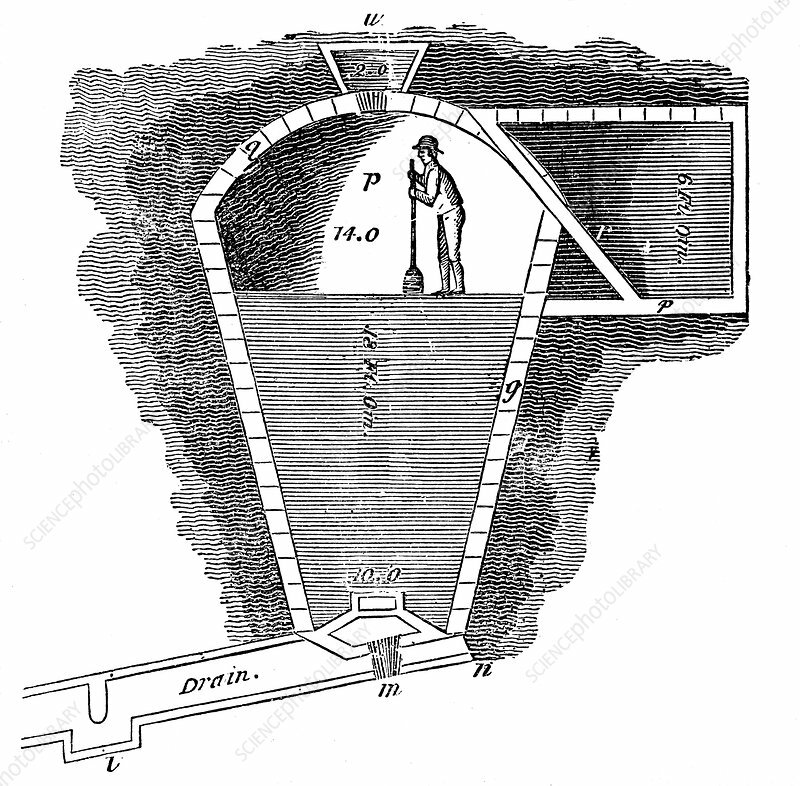 Refrigeration: sectional view of an ice house. It consists of a pit dug and lined with brick, which is a poor conductor of heat, and roofed with thatch for the same reason. Each piece of ice would be dipped in water before being packed in the ice-house, so forming a solid mass with the minimum surface area exposed to the air. A man is pictured ramming down the ice.